The sheer numbers of qualified brides who attend each and every event hosted by Bridal Showplace is unequal by any other show. We are consistently amazed by the amount of people they are able to bring to the room, and no matter how many more cake samples, brochures, etc. we bring to each event, we always run out! Bridal Showplace is on our "Don't Miss" list without exception. There is no question hands down that Bridal Showplace is the best bang for the buck. Bridal Showplace really delivers on having quality brides come through the door who are ready, willing and able to book, they do this every show like clockwork. 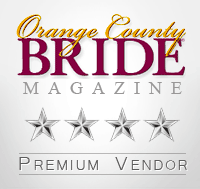 I have no question that if I had to choose only one form of advertising I would choose Bridal Showplace! They really are amazing! Of all the shows that our company has been involved with over the years, Bridal Showplace can't be beat. each show is better and better no matter the location. The Queen Mary show on Januray 8, 2012 has been a break out show for Victorian Wedding Bells Events & Entertianmnet Inc. We highly recommend Bridal Showplace above any other company out there for bridal shows. They know how to bring the brides to you as a professional. I'm proud to be working with them and proud to call them my friend. Victoria Davis, Victorian Wedding Bells Events & Entertainment Inc. Excellent Service! Great turnout of brides! Lots of business opportunities. Met some nice vendors and potential clients. We'll use you again! This company is a "10". "I loved this show!! Great crowd and responses. Thank you." "Outstanding. Impressed at the number of brides. Thank you all." "It was a great show with a lot of attendees." "Great show, lots of brides." "The show was put together very well. Can't think of an input to make it better." "The show was great. You were very accommodating. It was great working with you again." "This is our first show with Bridal Showplace. We booked 1 wedding on site, and made many great contacts. We are very pleased and look forward to many more shows."